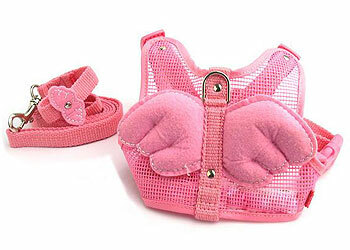 This unique harness is perfect for your little angel. 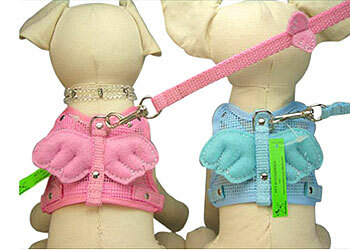 This angel harness comes in three sizes Small, Medium, and Large and in two colors Light Blue and Light Pink. It comes with a matching leash that sports another tiny pair of angel wings.